Folks, you are going to want to bust out your headphones for this one. You might also want to bust out a sweater, throw a log on the fire and curl up under an afghan because Blue Rider is an essential autumn album. The Louisiana-bred Cale has turned in an album as delicate as leaves descent from the tallest trees and just as beautiful, as forlorn as a 5:30 sunset and as warm as a fresh cup of cider. Built upon a foundation of subtle, strident fingerpicking and augment by subtle, atmosphere arrangements Blue Rider is an album of rich textures and intimate melodies, a gorgeous collection of songs that bristle with enthralling, understated details. The background vocals and buried tremolo combine with the slapback of spring reverb on “Wayward Son” to evoke the rustle of almost-barren maples on breezy mountain night. The organ of “Dear Shadow,” fortifying the insistent strumming and steady kick drums as layers of electric guitar creep in, is the stuff of graveyard make-out sessions and carefree bike rides down abandoned small-town streets. “Blood Rushes On” with it’s pedal steel and laid back drumming is all hot toddys and warm flannels, while “Hangman Letters” is like sipping coffee as the son breaks over the Smokey Mountians. 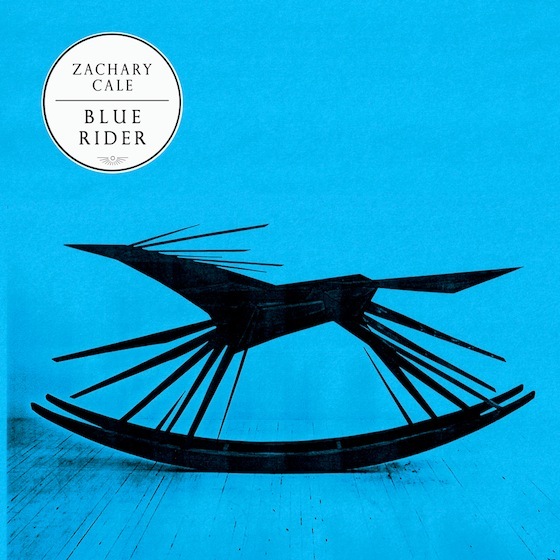 All in all, Blue Rider is a stirring experience, one that elicits emotions with the most subtle of brush strokes and simplest of sounds.